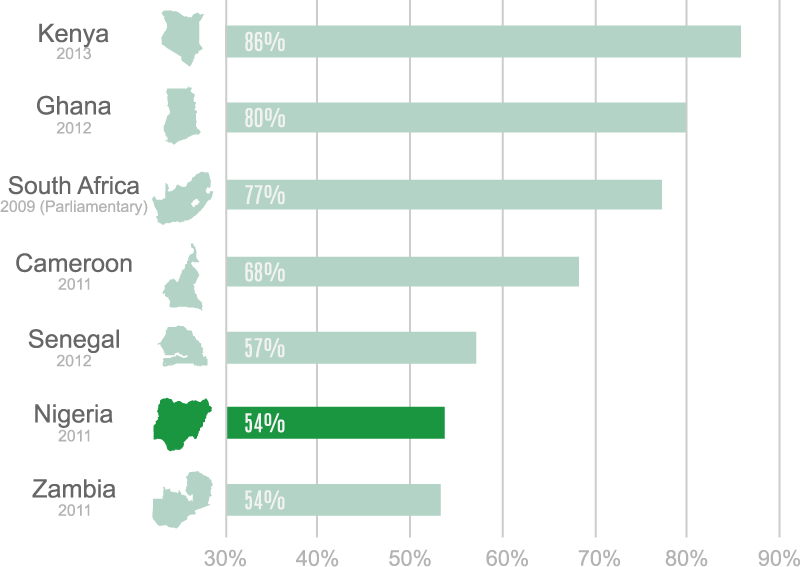 While low for many African countries, turnout for the 2011 presidential election was typical for Nigeria, but varied considerably across the country. Zone data masks LGAs with very high turnout (greater than 90%). However, nowhere was turnout greater than 100%. 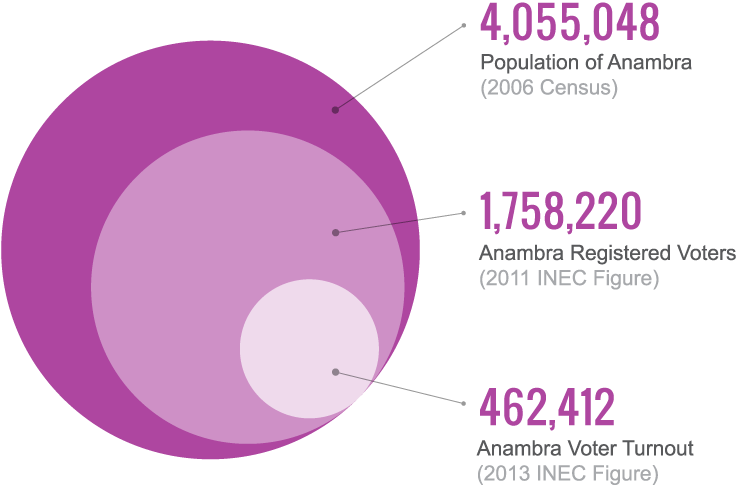 Percent of LGAs with Turnout within the Specified Range. Click items to highlight in the graph. Even if turnout had been uniform across the country it would not have changed the outcome of the presidential election. 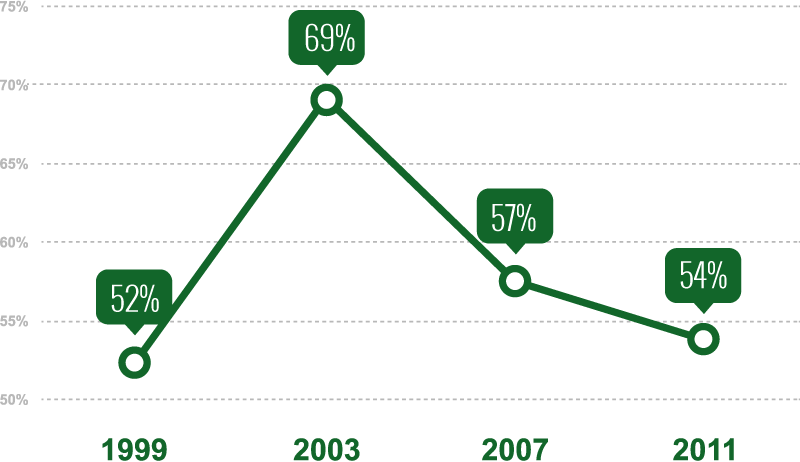 Off-cycle elections (those not held at the same time as presidential elections) generally have a lower turnout. 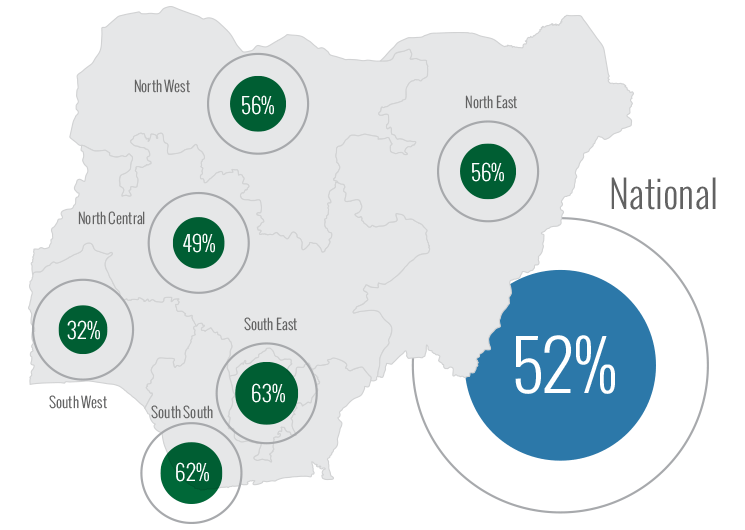 However, turnout for the June 2015 Ekiti gubernatorial election was nearly 50%. Did parties have agents at polling units?